The information provided on this website is for informational purposes only. 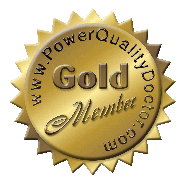 Power Quality Doctor makes no warranties, either expressed or implied, with respect to any information contained on this website. All Content on PowerQualityDoctor.com belongs to Power Quality Doctor, Ltd. and may not be reproduced without our prior written consent. All of Power Quality Doctor's content is protected under U.S. and international copyright laws may be reproduced for use by a single user only. You may not modify, retransmit, sell, or copy any of our content in any way. Power Quality Doctor, Ltd. reserves the right to change the reproduction policy at any time without prior notice. Microsoft is a registered trademark of Microsoft Corporation. Windows, Windows 2000, Windows 2003, Windows XP, Windows Vista, Windows 2008, Windows 7, Exhange Server, Internet Explorer, are registered trademarks of Microsoft Corporation. All other product and company names mentioned in any portion of this website are the registered trademarks of their respective owners.